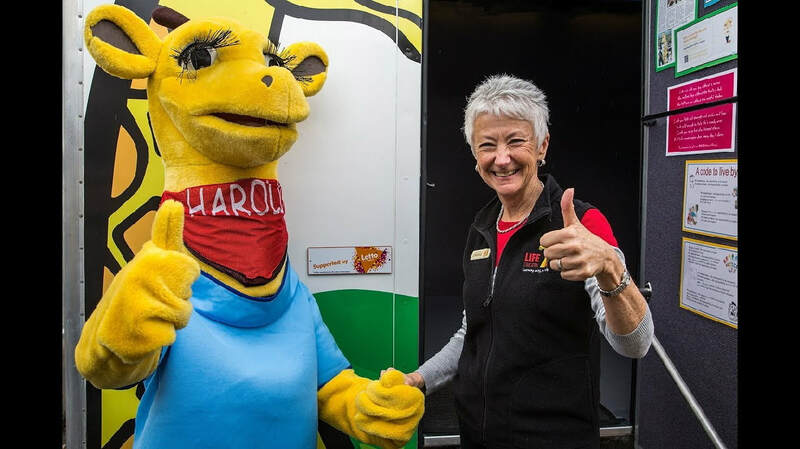 Life Education is a not-for-profit organisation and each local trust is run by dedicated volunteers who are committed to building a better world for our children. Life Education is not government funded and not part of the government education system. Life Education is an interactive educational program, linked to the national school health curriculum. We teach children about the wonder of life, themselves, and other people, with the aim of giving the children of New Zealand the knowledge and skills to raise their awareness to live a fulfilling and healthy life. It is a totally positive approach, with an emphasis on empowering the children to make choices based on sound information, rather than peer pressure. The aim of the Life Education programme is to provide children with the relevant knowledge to make healthy decisions. These decision may relate to food and nutrition, friendships, bullying and peer pressure or understanding the magnificence of our body. The programme utilises an inquiry approach, spring boarding from 'Big Questions', to ensure personalisation of learning experiences is achieved. The Life Education program is highly valued. According to a recent study, 91% of teachers considered it to be effective or very effective. 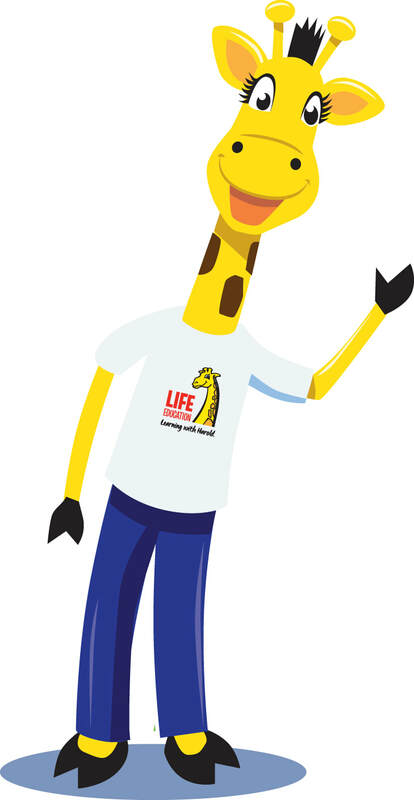 Harold the Giraffe is the mascot of Life Education. He works in the mobile classroom with the educator, to demonstrate what happens when things go according to plan and what happens when they don't. Giraffes are tall. We teach children to stand tall and be proud of who they are. The pattern on a giraffe's skin is unique, like a fingerprint. We teach children that they too are unique and special. Giraffes have big hearts. We teach children to be kind to others.